rolled on 2" Foam Core PVC pipe. 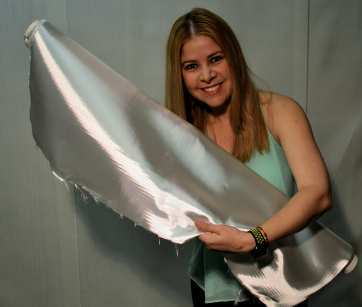 There are several 8 harness satin weaves right around the same 9 ounce weight. The original one that came out in the 50's was style 181 and is pretty much obsolete except for hearing about it every once in a while from an aerospace contractor. My pick for the model builders is the 7781 with the 504 Volan finish because of 1 - the smaller filament, in theory anyway, would be more flexible and have a higher tensile strength and with the 504 Volan as the finish would be more flexible and easier to wet out. Here's a comparison of the different 9 oz 8 harness satin weaves. 1581: listed anywhere from 8.75 to 8.9 oz/sq yd has a 57 x 54 ends/inch thread count, uses the ECG150 1/2 yarn with the 9 micron G filament and 2 of the 15,000 yards per pound yarn twisted together both in warp and fill. 7581 is one we see every once in a while which is currently listed as an 8.89 oz/sq yd 8 harness satin 58 x 54 ends/inch uses the ECG 75 1/0 yarn in warp and fill. The 7581 has the same filament diameter as 1581 but just one yarn twice the size of the two twisted in 1581 - with the 7581 and 1581 being very similar and comparible to other weaves with 7581 being the flat version of 1581. 7781 however uses a finer filament. 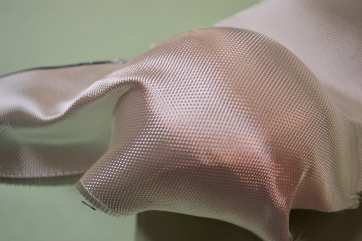 7781 is an 8.95 oz/sq yd 8 harness satin weave E-glass as are the others, has a thread count of 57x54 ends/inch, uses the ECDE 75 1/0 yarn in warp and fill. The DE filament is 6 microns instead of the 9 microns for both the 7581 and 1581 and is a flat yarn with no twist. 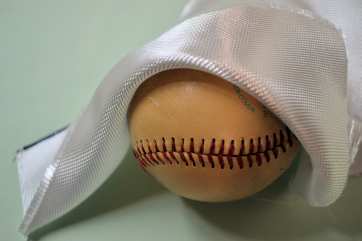 The problem with all the satin weaves is in getting the air out of layups and for this these weaves are mostly intended for vacuum bagging. I personally like using the 7781. I've used a lot of the 7781 with the 497A finish that is slightly stiffer and lots of the 7781 with the Volan finish. 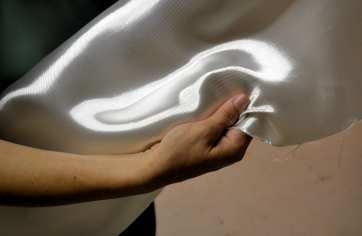 It takes a little getting used to but leaves a very smooth surface and produces parts with a higher glass to resin ratio than the more open plain weaves. 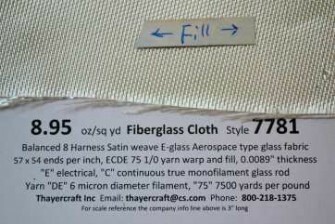 If there was any of the 9 ounce satin weaves that would be suitable for making model parts the 7781 with the 504 Volan finish would be it.